A new study claims to provide "the first experimental evidence" that violent videogames have a cumulative, long-term impact on those who play them. 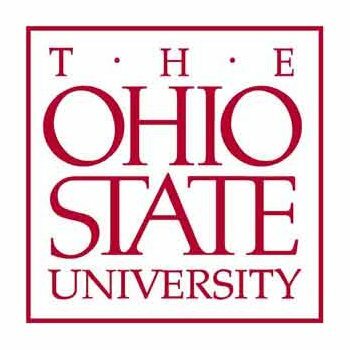 A research team led by Professor Brad Bushman of the Ohio State University has found that people who played a violent videogame for three consecutive days exhibited "increases in aggressive behavior and hostile expectations" every day that they played. "It's important to know the long-term causal effects of violent videogames, because so many young people regularly play these games," Bushman explained. "Playing videogames could be compared to smoking cigarettes. A single cigarette won't cause lung cancer, but smoking over weeks or months or years greatly increases the risk. In the same way, repeated exposure to violent videogames may have a cumulative effect on aggression." The research looked at 70 French university students who were told they were participating in a study on the effects of videogame brightness. The students were assigned to play either violent games - Call of Duty 4, Condemned 2 and The Club - or non-violent ones - S3K Superbike, Dirt 2 and Pure - once per day, for 20 minutes at a time. At the end of each session, they were given the beginning of a story and asked to list 20 things the lead character would say or do in it. The students who played violent games were more likely to think that the character would behave aggressively or violently, a belief that grew stronger with each passing day; those in the non-violent pool did not show any increased expectations of hostility. In another test, those who played violent games subjected hidden opponents in a multiplayer game (who didn't actually exist) to increasingly longer and louder blasts of unpleasant noise each time they "won," while those who played non-violent games maintained their victory noise at a relatively constant level and duration throughout the period of the study. "Hostile expectations are probably not the only reason that players of violent games are more aggressive, but our study suggests it is certainly one important factor," Bushman explained. "After playing a violent videogame, we found that people expect others to behave aggressively. That expectation may make them more defensive and more likely to respond with aggression themselves, as we saw in this study and in other studies we have conducted." It's impossible to determine just how much aggression may build up in people who play violent games, he added, because it isn't "practical or ethical" to test them for longer periods of time. "I would expect that the increase in aggression would accumulate for more than three days. It may eventually level off," he said. "However, there is no theoretical reason to think that aggression would decrease over time, as long as players are still playing the violent games."